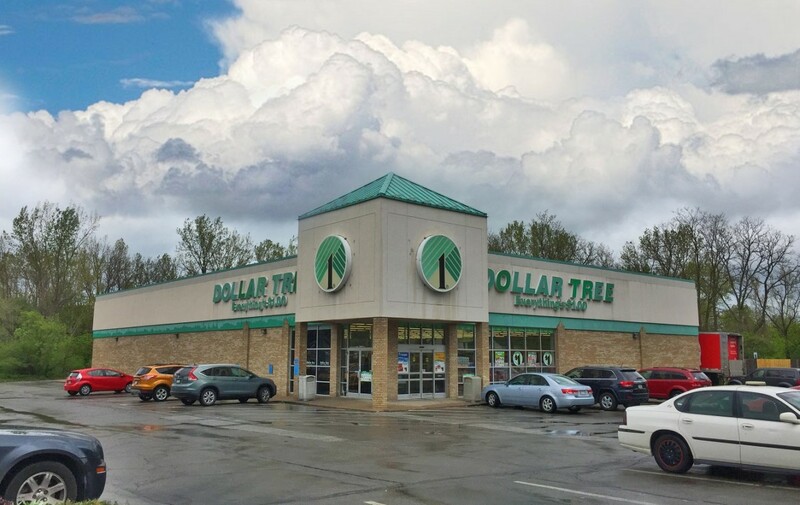 Marcus & Millichap is pleased to present for sale this Net-Leased Dollar Tree located at 3604 Buffalo Road Wesleyville, Pennsylvania in Erie County, just a couple miles outside Erie and just two miles from Lake Erie. The subject property consists of 11,325 square feet that is situated on a large 1.98 acre parcel of land. 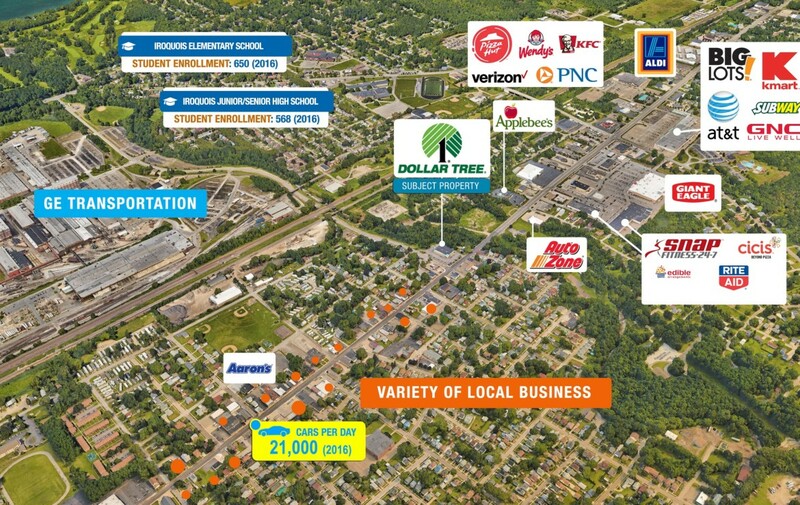 This store benefits from the strategic location at the signalized intersection of Water Street and Buffalo Road with traffic counts exceeding 21,000 vehicles per day. There are over 100,000 full time residents with an average household income exceeding $60,000, annually. There is no direct competition in the area. Dollar tree has signed a new five year Net lease (NN) where the landlord is responsible for roof and structure. The offering provides a flat initial term. This was previously a Rite Aid who sublet the store to Dollar Tree, a number of years ago. 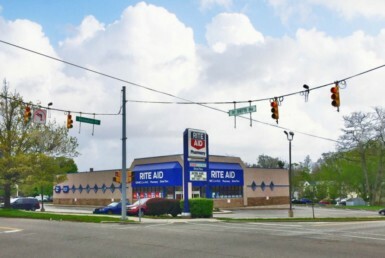 Rite Aid’s lease terminated in May of 2017 and Dollar tree immediately signed a five year lease. DOLLAR TREE, INC. is the world’s leading operator of $1 price-point variety stores. The Company also offers value merchandise at prices above $1 at its 219 Deals stores and at prices of $1.25 CAD at its 210 stores in Canada. Overall, Dollar Tree operates more than 13,600 stores across the 48 contiguous United States and five Canadian Provinces, supported by a coast-to-coast logistics network and more than 90,000 associates. Currently S&P BB rated. ■ OVER 21,000 VEHICLES PER DAY. ■ CORPORATE BACKED BY S&P BB RATED DOLLAR TREE.